Using the latest technology, Bloom Dental Group offers a full range of dental services designed to keep you and your mouth happy and healthy. See your doctor on time at our clean, beautiful office in convenient downtown San Mateo. Spend as much time with them as you need. Take home a complimentary electric toothbrush and luxury hygiene products, too. Sometimes a standard cleaning will not be enough to remove buildup accumulated underneath the gums. In a deep cleaning, our specialized instruments remove all the buildup and harmful bacterial, getting your teeth completely clean. Our experienced doctors clean out any cavities and fill them with a clinically tested, highly durable, and esthetic filling. We make sure the fillings are placed perfectly and blend in so you won't even know they're there. Sealants close the deep grooves and pits in teeth from harboring the food and bacteria that can lead to cavities. Sealants are recommended for children as soon as permanent teeth come into the mouth. For teeth that are broken, severely worn, or have a large cavity, solutions like crowns, inlays, or onlays may be the best choice for you. A crown is a customized cap that is made to look like your natural tooth think of it as armor for your tooth. When a full crown isn't needed, a smaller inlay or onlay may be used to strengthen a damaged tooth. Dental bridges can also be used to fill a gap between teeth. Our experts will match your tooth shade to the crown or bridge so that it fits in flawlessly with your smile. At Bloom Dental Group, we rely on modern CAD/CAM technology, allowing us to fabricate your crown and place it in your mouth on the same day. A root canal may be necessary when the nerve inside the tooth becomes painfully irritated, most often due to a large, deep cavity, or a fracture or trauma in the mouth. The large cavity or fracture may lead to an abscess, or infection. A root canal involves removing the nerve inside the tooth, cleaning out the infection, and sealing the roots with a biocompatible material. At Bloom Dental Group we work with you to make your smile whole again. Implants are a safe, effective, and long-lasting way to repair your smile. If there is a solid bone around the missing tooth, the implant can be placed where the tooth used to be, completing it with a crown sitting perfectly on the implant. If you don't have the best foundation around the missing tooth, there are multiple options including grafting the bone and tissue or replacing the space with a bridge. Implants are designed to look like a natural tooth, so your smile won't be affected and you can eat comfortably with them. Does your smile need some adjustment? You may be a candidate for Invisalign. Invisalign is the industry standard for orthodontics using clear aligners, the transparent trays used to straighten your teeth into the correct position. We take digital impressions to analyze your teeth for a super accurate fit, mapping out your treatment plan on the computer so you can visualize the end results before you decide to start treatment. After you correct your smile with Invisalign or orthodontics, it is important to wear retainers to ensure that the teeth stay in position. If you wake up with jaw muscle pain or fatigue, or if you are a heavy teeth grinder, you could have issues related to the TMJ joint. 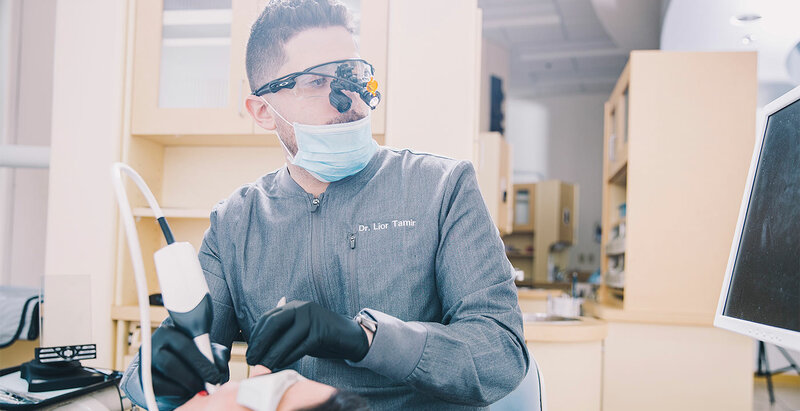 There are many therapies related to TMJ pain or fatigue that can improve and alleviate the discomfort, ranging from specialized mouth guards to more extensive restorative treatment to stabilize your bite and jaw. Our experts will help you discover the best options for therapy. Dentures are the most straightforward way for Bloom Dental Group patients to replace all of their teeth at one time. Dentures help return normal oral function, preserve your facial profile, and enhance muscle strength. Your dentists will help you determine whether dentures or partial dentures are right for you. Our dentists offer both in-office teeth whitening treatments as well as take-home kits. In-office teeth whitening is a treatment that brightens your teeth by multiple shades in one hour. The results are dramatic and you walk out of the door with a whiter smile on the very same day. Every child deserves a healthy smile, and our goal is to provide top-level care and a safe and welcoming dentist office environment for each child we treat. One of the key elements of children's dental care involves empowering your child with the right oral hygiene education and access to preventive pedodontic care to avoid problems before they arise. Gentle cleanings, protective sealants, digital x-rays, and fluoride treatments are a few of the services we offer to keep your child healthy for years to come.